However, Citi analyst Michael Plavnik was on CNBC this morning with Kelly Evans, and he said that regardless of posturing, he thinks Japan will do whatever it takes to weaken the yen 40-50 per cent, foreign bond purchases included. I think [Japanese government officials] have a goal to hit 2-per cent inflation. They’re not going to be able to hit 2-per cent inflation without significant yen weakness. The pass-through [from yen devaluation to inflation] is about 15-20 per cent, so they need the yen to weaken about 40-50 per cent in order to get 4-per cent inflation over a 2-year period. So, if you reverse engineer from there, you say, “Well, what do you need to do to get the yen weakness?” And, quite frankly, I think they are willing to do anything it takes. So, how does Japan get around the no-foreign-bond-purchases rule? I think what the bond market is saying – what the yields are saying – is [the Japanese government is] willing to do whatever it takes. So, if today they take foreign bond purchases off the table, then they are going to have to do it through quantitative easing, which means significant bond purchases. 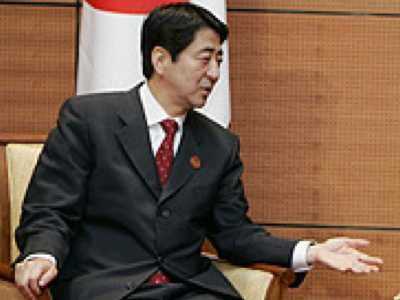 I don’t think they are going to have the BoJ do it. The more crafty way to do it – Abe is extremely strong on international [policy]; he’s made the yen an international policy. I think the way they do it is they will start a sovereign wealth fund. They will buy Treasuries, and they will buy European bonds – they already buy U.S. Treasuries and EFSF bonds. So, if they set up a sovereign wealth fund and say, “This is what we’re going to do – we’re going to buy foreign bonds,” it’s pretty difficult for the international community to come back and say, “Please don’t do this,” because there are already other countries that do this. A sovereign wealth fund could be a game-changer for the Japanese government, which seems to be increasingly hamstrung by the international community in its quest to achieve inflation. However, such a plan could eventually spark the same sort of blowback Japan faces now.